For the first time in years, the human life expectancy recently went down instead of up. Many believe that the opioid crisis is to blame. In the second episode of a series with Dr. Wayne Jonas, Dr. Daniel Amen and Tana Amen discuss why removing opioid medications from the equation won’t necessarily solve the problem. 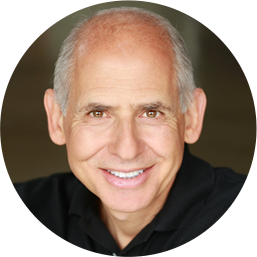 Dr. Daniel Amen	Welcome to The Brain Warrior's Way podcast. I'm Dr. Daniel Amen. Dr. Daniel Amen	The Brain Warriors Way podcast is brought to you by Amen Clinics, where we've transformed lives for three decades using brain SPECT imaging to better target treatment and natural ways to heal the brain. For more information, visit AmenClinics.com. Tana Amen:	The Brain Warrior's Way podcast is also brought to you by Brain MD, where we produce the highest quality neutrocytical products to support the health of your brain and body. For more information, visit BrainMDHealth.com. We're back with Doctor Jonas, such an important talk we're having. In our last episode we talked about integrative medicine, and how people heal. We're back today. We're going to talk about the opiate medication crisis, and how people are abusing it, and how to manage it. Dr. Daniel Amen	How do manage chronic pain. Dr. Daniel Amen	Which is a huge issue ... Here at Amen Clinics, we did a big NFL study at a time when the NFL was having trouble with the truth, high levels of damage in their brains, but the possibility for recovery in many. A number of our patients were cognitively impaired because of their opiate use. No one had really taken a wholistic view to pain management. Dr. Daniel Amen	If you imagine all the people with brain damage, and then add on that chronic use of opiates, which does not make you smarter ... When you were telling the story about this guy in the last episode, who was having trouble getting off [inaudible 00:02:05], I was thinking to myself, I would do everything I could to stay away from opiates, because I wouldn't want to be cognitively impaired, that, that would hurt my life more than anything else. Talk to us about your experience in what's going on in America, and some of the solutions you've thought about. Dr. Wayne Jonas:	Well if anybody hasn't heard about the opioid crisis, or the opioid emergency, they just haven't been paying attention to the news. The last two Presidents have had commissions. Each declared that there's a crisis here. It is a problem, there's no question about it. 60,000 people died last year, over 60,000, from opioid overdoses. Dr. Wayne Jonas:	There is an estimated 12 million people who are abusing opioids, often for chronic pain, that shouldn't be taking them and are getting damage from them. For the last two years, there's been a decline in the life expectancy of Americans for the first time in about 80 years. The reason is the opioid epidemic. There's no question that the opioid epidemic is a problem. The solution that the medical side has taken, and that these Presidential commissions has taken, is to restrict opioids, to simply take away the medications. This is not going to solve the problem. Dr. Wayne Jonas:	Really, the opioid crisis is just the tip of a much more broad problem that you mentioned too here, that we have, which is a chronic pain mismanagement problem. Dr. Wayne Jonas:	I call it, the not-so opioid problem. It's really about, that we have not implemented non-drug, non-pharmacological approaches for the treatment of chronic pain. I didn't learn those in medical school. I do not work in a system that has yet figured out how to make that available for everybody, despite the fact that all of the guidelines now say that you should use non-pharmacological approaches for pain. First and foremost, and continuously, the American College of Physicians, the FDA, the CDC have all said, use non-drug approaches. Now, patients have already been trying those things. They were called complimentary and alternative medicine approaches, acupuncture, yoga, nutrition supplements, this type of thing, mind/body practices. But, the healthcare professional, the medical profession, doesn't know how to put those together, because they weren't trained in it, and they're not paid for it, and they're not structured to deliver that. I'll give you an example. I had a patient, this was a military person. It was a woman. Her name was Sally. She was on the way to the Pentagon to a big meeting. She managed a huge program. On about five hours of sleep, she ended up rear-ending another car. She had a car accident. She was taken to the Emergency Room. She had X-rays, put on non-steroidals, told to go to physical therapy, which she did once. Started to feel a little bit better, and then went back to her job on five and four hours of sleep. About three months later, she was picking up her suitcase to get on a plane, and she heard a pop, and she couldn't stand up. She had excruciating pain down her back. She called 911. She panicked. She said, "I need to go the Emergency Room, something terrible has happened." She went to the Emergency Room, more X-rays, CT scans, etc. But now, because she was already on medications, and physical therapy, she was placed on opioids. She took the opioids, and she said, "I love this stuff. This is great." It relieved her pain rapidly, so she kept taking them. Then she began to go around and need more and more. As you know, the more opioids you take, the more tolerance you develop to that, the more and higher levels that you need, and the less and less pain relief you get from it. You get more of the side effects and less of the benefits if you start doing it chronically. That's what happened to her. She started ... What our healthcare profession tends to with these people, is that she gets on the merry-go-round of pills and procedures. She gets injections, she gets more physical therapy. She goes to the surgeons. She gets electrical stimulation devices, and this type of thing, and she continues with her opioids. Finally, she goes to a behavioral medicine person. They say, you're depressed. They put her on another medication. Dr. Wayne Jonas:	This is the platinum level healthcare right now. This is the real reason why we have the opioid problem right now. We do not provide the kind of underlying components that can help people heal from their chronic pain, that they can engage in themselves, that are recommended now by all the major guidelines, the non-pharmacological approaches. Tana Amen:	I really like something you said. I think it's true, at least from my experience, not only working in the medical industry, but also some personal experience. Taking away the medication is not going to solve the problem. In fact, I think people who are desperate will turn to illegal sources. They'll turn to whatever way they can get out of pain. That pain is often physical. Like you said, sometimes there's underlying other issues. As somebody who grew up with an uncle in my house who was a heroin addict, I know this to be true. He was in the military and had pain, was hurt, and became a heroin addict. As a result ... I have chronic pain, chronic back pain. But, because of my experiences as a child, there's no way I will take any kind of narcotic for that pain, because I don't want to go down that road. As a nurse, seeing this in the clinics, and seeing how awful it was, I see how these people who go down that road, in my mind, to hell, just getting off of them is hell. They will find a way to get what they need. Taking the medication away is not going to be the answer. I really think that you're touching on something. We've got to do better about figuring out what's happening with them. Whether it's the chronic pain, whether it's the emotional pain, we've got to help them fix that pain, from the inside/out. Dr. Daniel Amen	Well actually, in the next episode, we're going to talk about chronic pain and childhood trauma. There could be other factors that set people up, that actually change their biology, that set them up to be more vulnerable to chronic pain. When I was a medical student, I fell in love with hypnosis. I actually took a month elective, at UCI, UC Irvine, in hypnosis. Dr. Wayne Jonas:	Wow. Great. Dr. Daniel Amen	When I went to Walter Reed as an intern, I was hypnotizing everybody. We had one of the world's most famous, or one of them, academic hypnotists, Hal Wayne. He was my mentor. Dr. Wayne Jonas:	I knew Hal Wayne very well, actually. Dr. Daniel Amen	We did a lot of it for chronic pain, and found it to be very helpful. Now, what I know what I know, I mix that with omega-3 fatty acids, supplements like SAM-e, or 5-HTP, if they get into loops of pain. It can be so helpful to begin to wean people off opiates. Dr. Wayne Jonas:	I think that's exactly right. I think both of you have made the point. Actually, Sally was ... This was the situation with Sally. She was doctor shopping because she needed more opioids. Then finally they said, "Well, we need to take you off. Why don't you do over to this addiction center and get off." She refused to do that. Then they said, "Well, we don't know what to do, let's send you to Dr. Jonas, and get this alternative stuff." She was taking supplements. She was taking supplements, but she wasn't taking them with a knowledge. She was trying to integrate them herself, and she wasn't talking to her doctors about them, so they were interacting probably with her medications. They certainly didn't know about them, because they didn't ask her. When she came in to see me, the first thing she said is that ... She says, "Dr. Jonas, I'm not crazy, and I'm not addicted. I'm in pain." She didn't want me to just throw more stuff at her, or say that there was something mentally wrong with her. I began to ask her some of the integrative health questions that I do in the Hope Note, and that type of thing, to try and find out what she did in these areas. We learned about the supplements, but she wasn't doing them right. The first thing we did is we said, "Well, let's make sure we're integrating these appropriately with your medications, so that you don't get interactions, and you begin to get some positive benefit from that. Make sure they're high quality." She was just going out and buying them willy nilly, and didn't know what she was doing. I asked her what she did, besides medications, to help her pain. She said, "Well, heat and stretching help. I bought a hot tub. I get into the hot tub in the morning for an hour, and I stretch, and stretch, and stretch. If I do that, I can kind of get through noon." I said, "What about yoga?" "Well, I went out, and I saw a yoga practitioner, and they were going into pretzels this way and that way, and I got hurt." In other words, she didn't integrate an appropriate integrative therapeutic yoga practice into her own treatment. Nobody had done that before with her, made sure that they were part of the team. She didn't realize that her sleep and her stress were aggravating her chronic pain. They were upping the inflammation in her body, and then that was causing cortisol. She had no stress management techniques, or anything like that. She didn't even realize that, that was actually one of the main contributors to her pain. When we asked her those things, we actually then found out what kind of a team she needed in order to get better. She had had a team before, it was the pain specialist, and it was a surgeon, and it was a pharmacologist, etc. The team we put together, included the pharmacologists, but now with education around appropriate use of supplements. We have a pharmacologist that knows that, so that's a great asset. It was a yoga practitioner who had therapeutic experience, and was trained in dealing with people with chronic pain, especially back pain. We had to get her family on board, because she had to actually incorporate this into her life. We brought in a behaviorist, a health coach, to help her move this into her life, address the sleep and the stress problems with that. She told me after her first visit with the therapeutic yoga practitioner, that her pain was down to two. It was the first time it had been down below five in about five years. She wasn't cured, because we had to support her as she went through the behavioral changes necessary to make that routine part of her life, with the sleep and with the stress, and with therapeutic yoga. In about three or four months her pain was consistently down to two. In about six months she talked about going back to work again. That's integrative health, where they come together, the pharmacology, the supplements, the behavioral components, the nutritional aspect, and the evidence-based modalities, like yoga, which has been demonstrated to be very effective for back pain, if properly done. That's what an integrative model looks like. It's the kind of healthcare model that we need. Tana Amen:	I love that. There's one thing that I ... Maybe you can comment on this. I practice karate, which for scoliosis and chronic back pain, I've been told, for the last 10 years that I need to quit. It makes me happy. I think there's a component to ... It makes me really happy. Dr. Daniel Amen	I shouldn't laugh. Dr. Daniel Amen	I'm one of the ones that tell her, with your spine, you can not hit things. Tana Amen:	But I love it so much, I can't even begin to tell you. Hitting things makes me really happy. There is a component to being happy that makes you feel good. Dr. Wayne Jonas:	Yeah. [crosstalk 00:14:15] ... You hit on a key aspect. You keep doing this over and over. I'm really glad you do it. How do you organize all these things? How do you decide what I should do? You have to find out what matters to you. You have to know that this meaningful, because now you're going to get motivated in those areas. In my book, I describe that process. It's fine to look at all the different modalities, non-pharmacological modalities, but then how do you actually decide, where is your healing journey? You do it by finding what's meaningful for you. Dr. Wayne Jonas:	The patient has to be in the driver's seat. Dr. Wayne Jonas:	They have to be ... This is why I ask patients, not just what's the matter, but what matters to them. 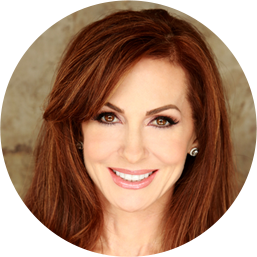 Tana Amen:	When you are actually happy, doesn't that, in and of itself, help healing? Dr. Wayne Jonas:	This is why you need guidance, right? Dr. Wayne Jonas:	The key is to be in the driver's seat. Tana Amen:	Right. The worse day in [inaudible 00:15:21] is better than the best day in yoga. It's just the way my brain works, because I like the intensity. Tana Amen:	Yeah, maybe. But, the point being that when you're happy, you feel better. Dr. Daniel Amen	We're going to have to stop, because we're going to go. We're going to continue to talk about chronic pain and childhood trauma. Dr. Daniel Amen	Stay with us. Thank you for listening to the Brain Warrior's Way Podcast. 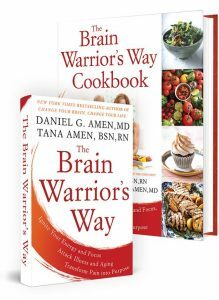 Go to iTunes, and leave a review, and you'll automatically be entered into a drawing to get a free signed copy of the Brain Warrior's Way, and the Brain Warrior's Way Cookbook, we give away every month.